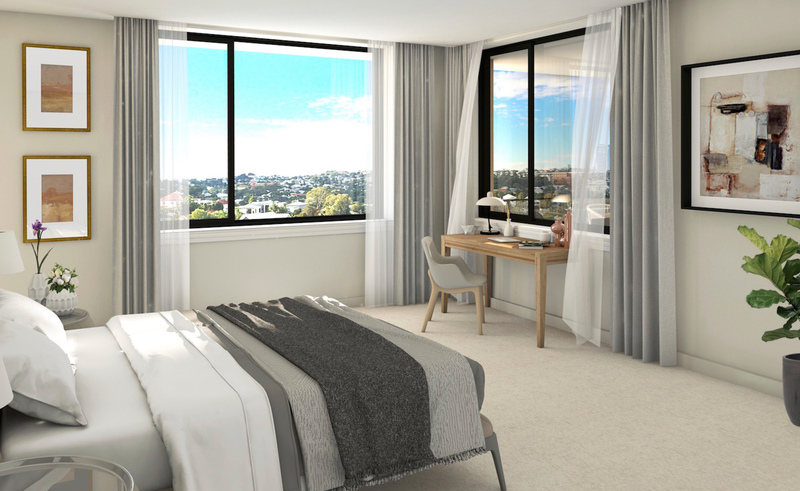 The people behind this project, Greengate, pride themselves on creating Boutique Living and Caring environments that are second to none. Retirement living at St Faber’s Green will be in beautifully appointed apartments with a host of clever touches that make life simpler and safer for residents. It’s all about living in generous spaces that flow seamlessly (and bump-free) to large balconies to give wonderful inside-outside living. Finishing touches include moveable shutter screens to continue the sub-tropical theme. Bedrooms once again are modern, large and light-filled with spacious ensuite bathrooms ingeniously designed to adapt to changing needs. The kitchen is that one you always promised yourselves, again with clever touches and perfectly placed work and appliance areas to make cooking the joy it should be. Storage is everywhere from built-in robes, linen presses, storage lockers and secure car parking.